MOSCOW, January 16. /TASS/. The Kremlin agrees with US President-elect Donald Trump that NATO is a vestige of the past, Russian presidential spokesman Dmitry Peskov said on Monday. 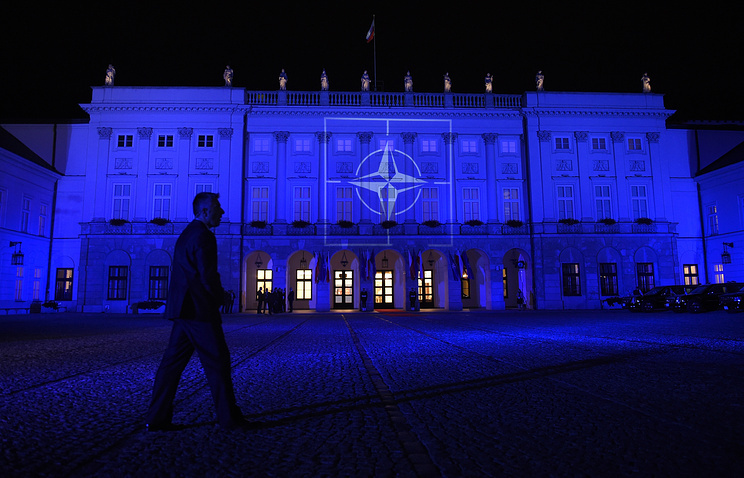 "NATO is, indeed, a vestige [of the past] and we also agree with that. We have long been speaking about our views on this organization," the Kremlin spokesman said. According to Peskov, "confrontation is the systemic goal of this organization." "Considering that it [the organization] is focused on confrontation and its entire structure is devoted to the ideals of confrontation, then, of course, this can hardly be called a modern structure meeting the ideas of stability, sustainable development and security," the Kremlin spokesman said. In an interview with the German publication Bild and the UK-based newspaper The Times, Trump said that NATO had problems. "I said long time ago that NATO had problems. It’s obsolete, first because it was designed many, many years ago," Trump said. "Secondly, countries aren’t paying what they should," Trump said, adding that the United Stated had to protect these countries. "This is unfair to the United States," Trump said.